Do you have a problem with your lights flickering or dimming throughout your home? Are your home appliances running sluggish and not at full capacity? Chances are that you probably need an electrical panel service upgrade to resolve your electrical problems. When your home was first built your current panel may have been sufficient to meet your home’s electrical needs, but today with growing families, central air conditioning and endless electrical appliances and gadgets, you may have rendered your box obsolete and overloaded. Your electrical box can become damaged over time by circuits constantly being overloaded. A constantly overloaded circuit breaker will become hot and weak. Through time the loose fitting breaker will continue to arc and overheat inside your fuse box, causing permanent damage to your electrical box and it’s buss bar. Any overloaded circuit or overloaded electrical panel is dangerous! To find out if your home requires a new electrical panel upgrade, give us a call for a professional electrical panel inspection. Fires are started from circuit breaker boxes that are old, overloaded and getting hot. A service upgrade may be the only solution to your electrical problems. In the news for May 2014, the local “Contact 5? NBC TV Affiliate ran with a story about a very specific fire warning related to an old Federal Pacific Electrical Panel. The warning related to overloaded circuits where by the circuit breakers would not trip in a safety margin and overheat the wiring in excess of 110 degrees causing a very unsafe condition and possible fire. 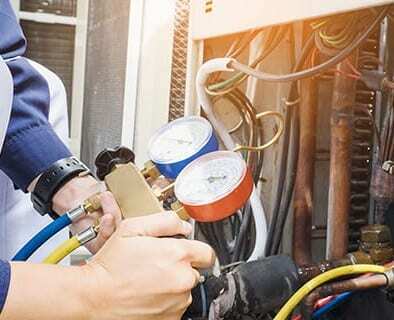 An electrical service upgrade is often the best long-term solution for these and other issues with your home’s electrical system. An electrial service panel upgrade will resolve problems with insufficient electricity distribution, obsolete electrical panels, and malfunctioning wires or components. When you turn your panel upgrade needs over to ECM, you can rest assured that the job will be done according to the highest safety and professional standards. Our professional electricians can inspect your panel and wiring as well as evaluate your electricity usage to determine if an electrical upgrade is necessary. Our panel safety inspection will identify any potential problems, such as breakers that have overheated, aluminum conductors that may have come loose and wiring that needs to be replaced. Find out if an electric upgrade is the answer to your home’s electrical issues by contacting our office for a panel safety inspection.